First we would like to announce that after about 18 months this web site has now reached 25,000 visitors!! We are of course very happy and proud to see the great interest from all over the world. Last week we were all participating in the first of several planned 20th anniversary tastings of the Wine Society 18%. We have decided to hold some extra tastings during the year 2013 and we started our celebration with a Vintage tasting of 1979. This Vintage was an off vintage, and was judge as Average. The large producers did not declare, they instead declared their Single Quinta Vintages like Quinta do Bomfim (Dow’s) and Quinta da Cavadinha (Warre’s). According to the Port Wine Institute only 13 houses declared. Michael Broadbent gave this vintage ** out of 5*, Suckling gave it 74 points out of 100 points. We call it Semi-Great because we had only 11 Vintages and not 20 Vintages which is our limit for calling it a Great Tasting. 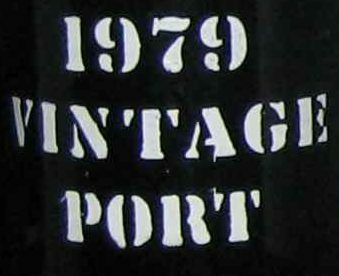 In addition to the 11 Vintages we had two extra ports from 1979, LBV 1979 from Smith-Woodhouse, bottled in 1984 and Colheita 1979 from Niepoort, bottled in 1988. Both extra wines were included in the tasting and were given points. The Smith-Woodhouse LBV had Group points 15.63 and Group Ranking 7 and Niepoort’s Colheita 1979 had Group Points 14.7 and Group Ranking 11. Most of the Vintage Ports showed a very mature pale tawny like colour, but they were surprisingly fresh in the glass and many of them showed a nice elegancy even if they were a bit over their peak. Two of eleven bottles were unfortunately too old. As usual the Vintages from the Symingtons (Quinta da Cavadinha, Quinta do Bomfim and Grahams Malvedos) were very well preserved, being a bit darker in colour and still some fruit in the taste. We agreed that Quinta do Bomfim and Grahams Malvedos were the best. This entry was posted in Tasted Vintage Port, Web site stats and tagged 1979, taste, Vintage Port on March 7, 2013 by Stefan.